As we become more aware of how our energy consumption impacts the environment, efficiency has become a top priority for many building managers. It's more important than ever to monitor and reduce your energy consumption, but many building managers are struggling to see results. Where do you start? Simply fill out the form to get our free white paper today! 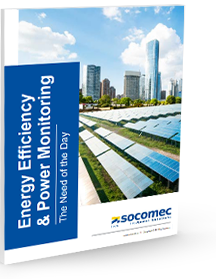 Get your free energy efficiency white paper! Please fill out the form below to have the whitepaper emailed to you. MA Sales Office: 9 Galen Street, Suite 120 Watertown, MA 02472| 617.245.0447 | Connect with us on LinkedIn!